Eididh nan Clach Geala and Meall nan Ceapraichean are sister peaks flanking a high corrie containing a small loch, Lochan a' Chnapaich. 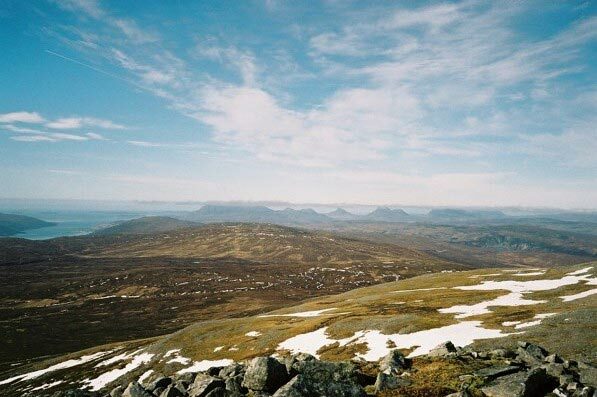 From the summit of Eididh nan Clach Geala, a long ridge runs WSW then turns WNW to become the Druim na Saobhaidhe which forms the N slopes of Gleann na Squaib. 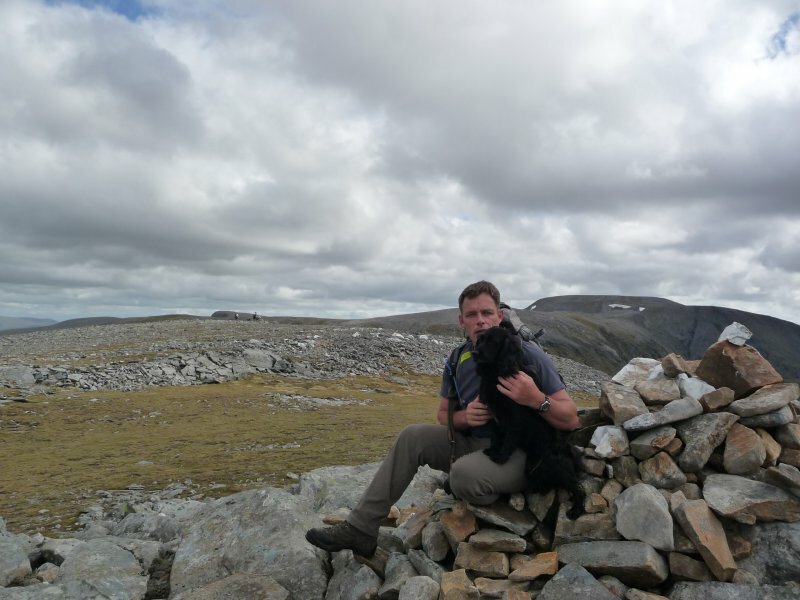 This ridge which has steep and craggy slopes close to the summit, offers a direct ascent route on easy slopes from the path in the glen. 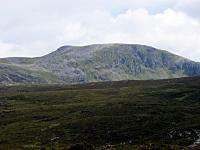 Eididh nan Clach Geala extends N to a minor peak (872m) with craggy slopes overlooking Coire an Lochain Sgeirich. 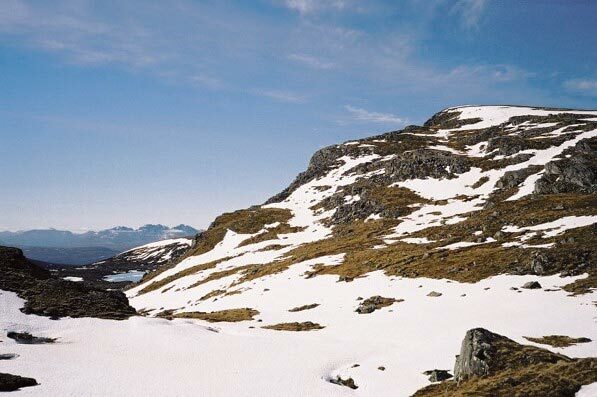 From this peak a ridge NW leads to a path which is an alternative ascent route from Inverlael. 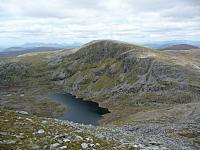 The summary information of one or more ascent routes that include Eididh nan Clach Geala. Post a few words about Eididh nan Clach Geala or read what others have had to say. 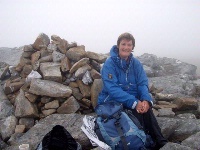 I climbed this hill along with Seana Bhraigh on a hot summer's day in 2006. 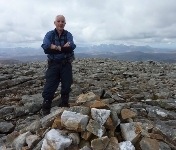 After climbing Seana Bhraigh we again skirted Cadha Dearg before crossing pathless, grassy terrain aiming for the prominent cone of Meall nan Ceapraichean before turning west at approx 276846 climbing Eididh nan Clach Geala's rocky west side. 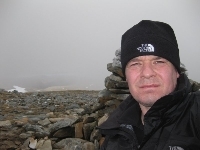 Which is a fairly easy climb with not too much ascent required.